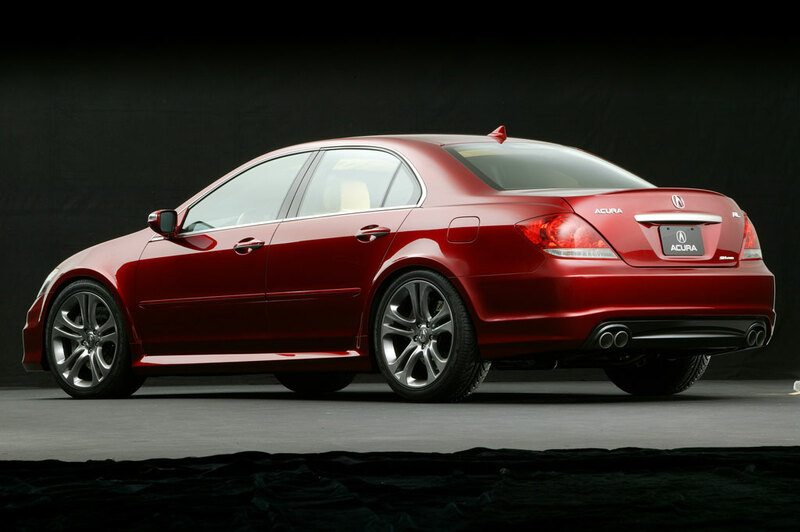 The RL luxury performance sedan has long served as one of Acura's most technologically advanced vehicles, and for 2012 such use of technology abounds. Whether it be advance technology applied to the engine, chassis or interior— the RL owner will reap the benefits in the form of performance, safety and comfort. Featuring bold looks, a 300 horsepower engine and Acura's acclaimed Super Handling All-Wheel Drive™ (SH-AWD™) system, the 2012 RL demonstrates that refined luxury is complemented perfectly by advanced technology and performance adrenaline. In addition to delivering luxury, style and performance, Acura's top-of-the-line sedan keeps drivers more connected to their world (and the world around them) by featuring some of the latest in intuitive, easy-to-use, state-of-the-art technology. "The RL continues to set the benchmark for the innovative use of customer-relevant technology," said Jeff Conrad, vice president of Acura sales. "There aren't many cars at any price that offer more advanced technology or drive system sophistication." The 2012 RL is available in three variations: RL, RL with Technology Package and RL with Advance Package. All RL's feature as standard a potent 3.7-liter V-6 engine with VTEC® valvetrain operation, a Sequential Sport Shift 6-speed automatic transmission, Super Handling All-Wheel Drive™, leather trimmed interior, power actuated front seats, leather-wrapped multi-function steering wheel, dual-zone automatic climate control system, power moonroof, power windows, Acura/Bose® Surround Sound audio system, Bluetooth® HandsFreeLink® connectivity and a Multi-Information Display (MID) that allows easy access to multiple electronic functions. An available Technology Package includes a satellite-linked Acura Navigation System with Voice Recognition™, AcuraLink Real-Time Traffic with Traffic Rerouting™, AcuraLink Real-Time Weather™, rear view back-up camera, back-up sensors, Active Front Lighting System (AFS), ventilated front seats and a simulated burlwood accented steering wheel and shift ****. The top RL trim is the Advance Package which adds Acura's Collision Mitigation Braking System™ (CMBS™), Adaptive Cruise Control (ACC), power folding side mirrors and genuine maple wood instrument panel trim.